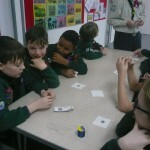 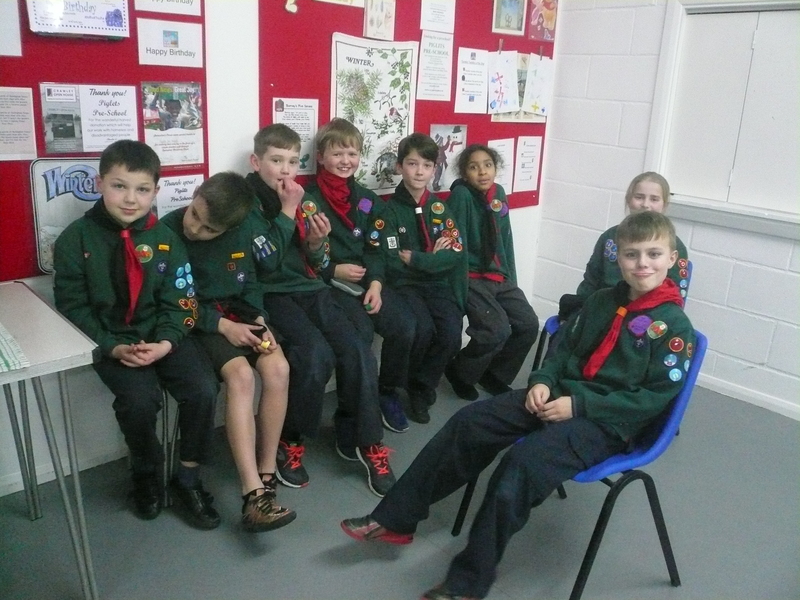 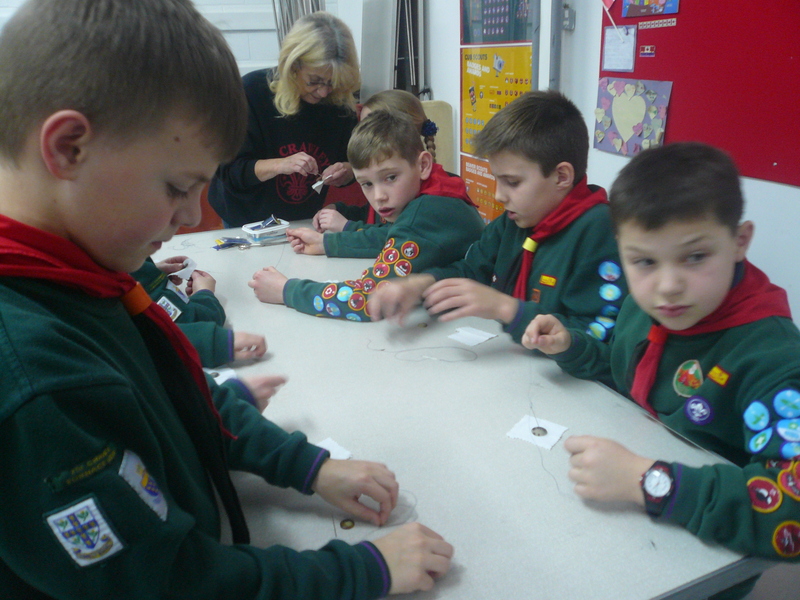 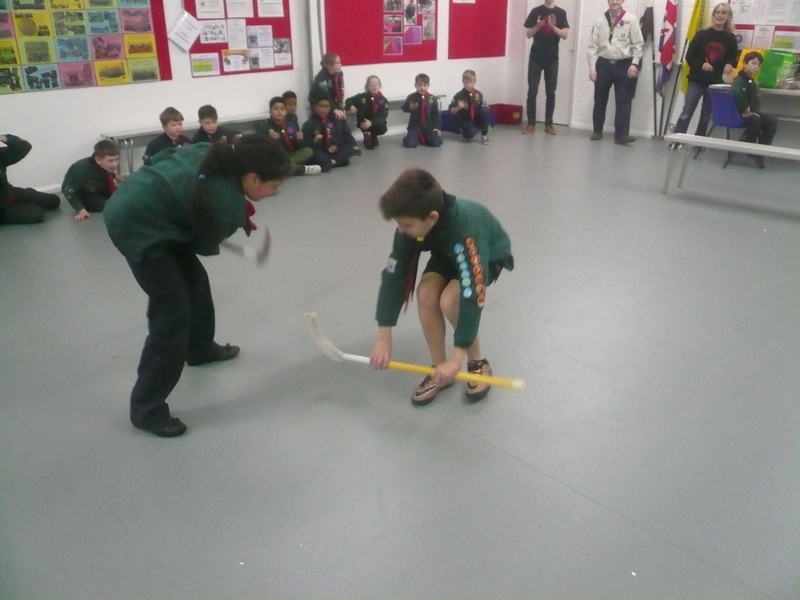 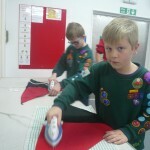 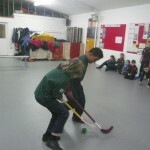 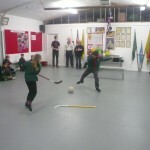 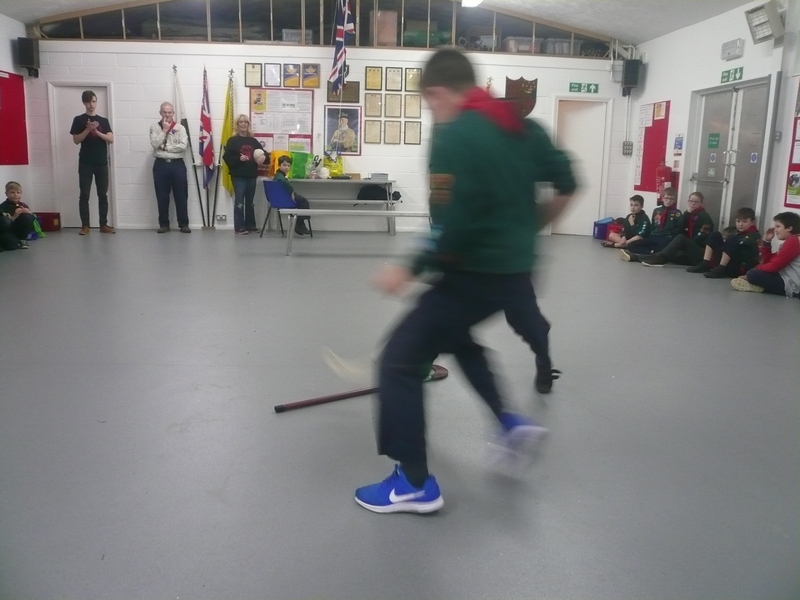 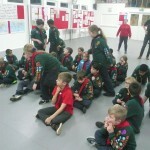 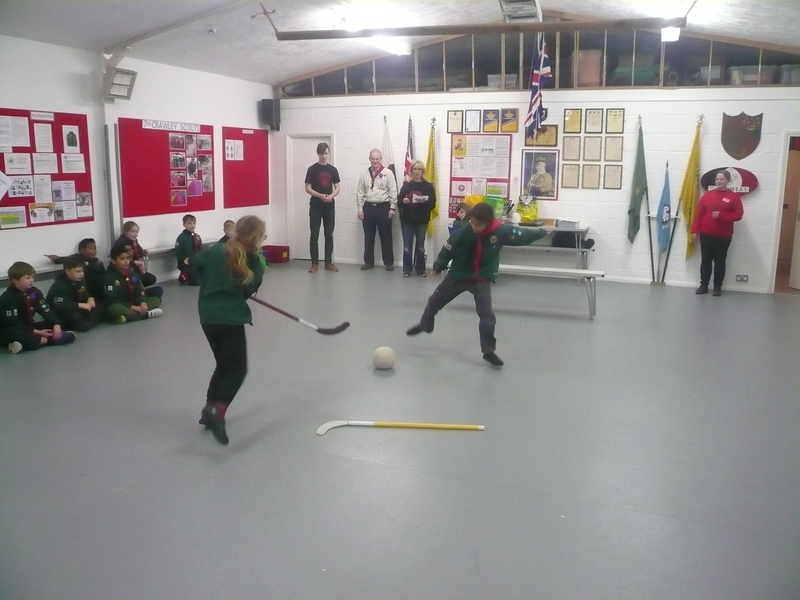 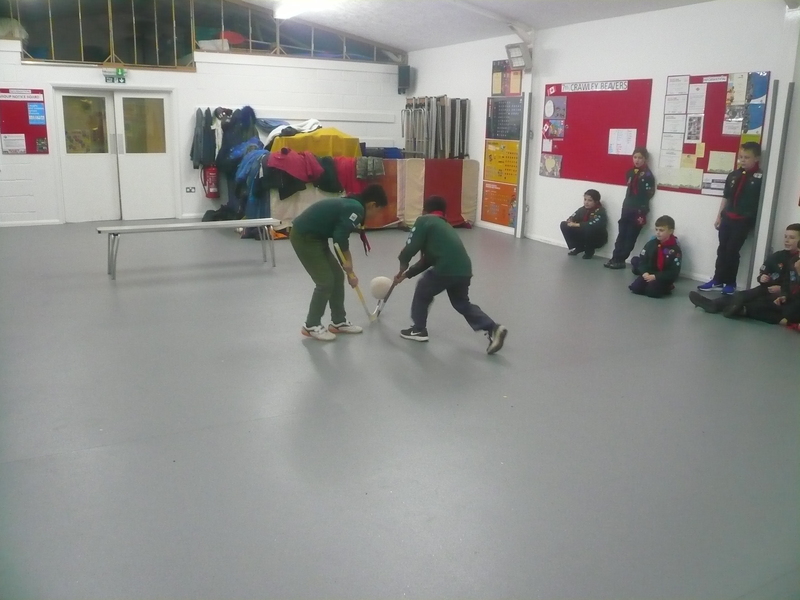 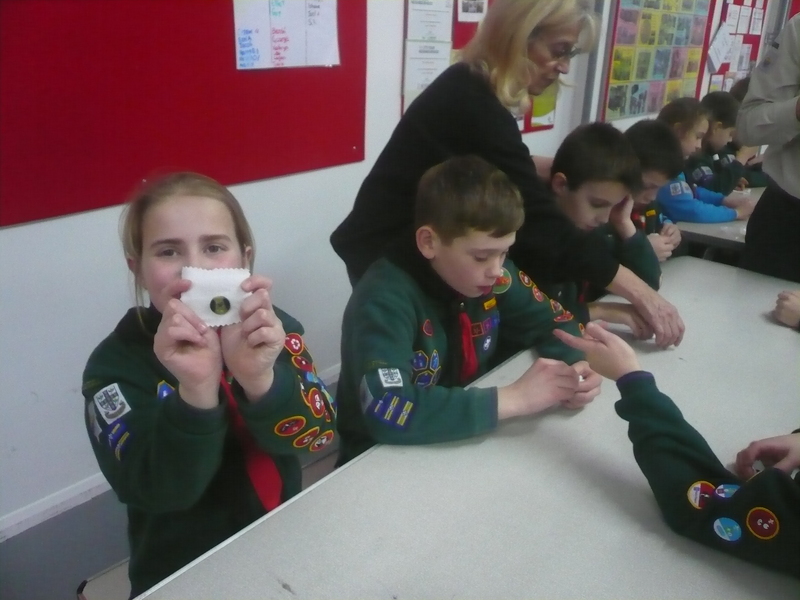 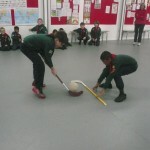 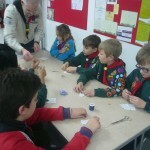 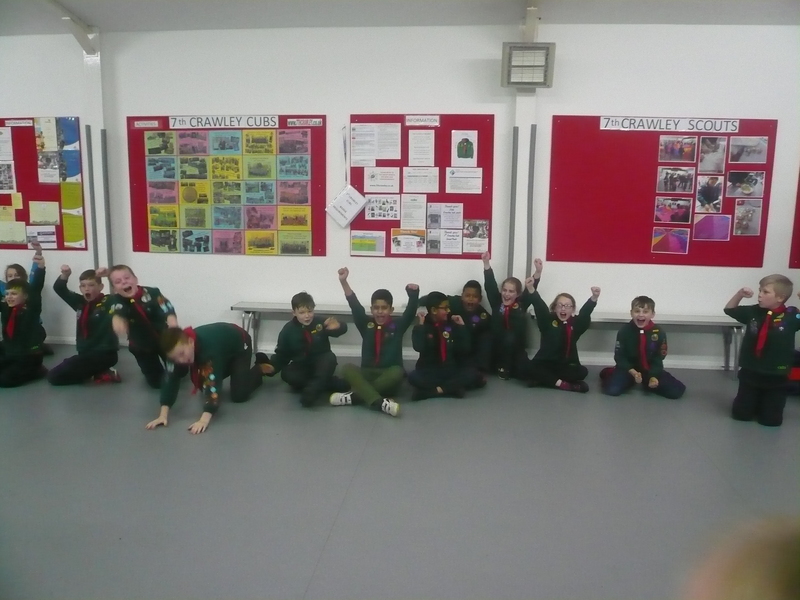 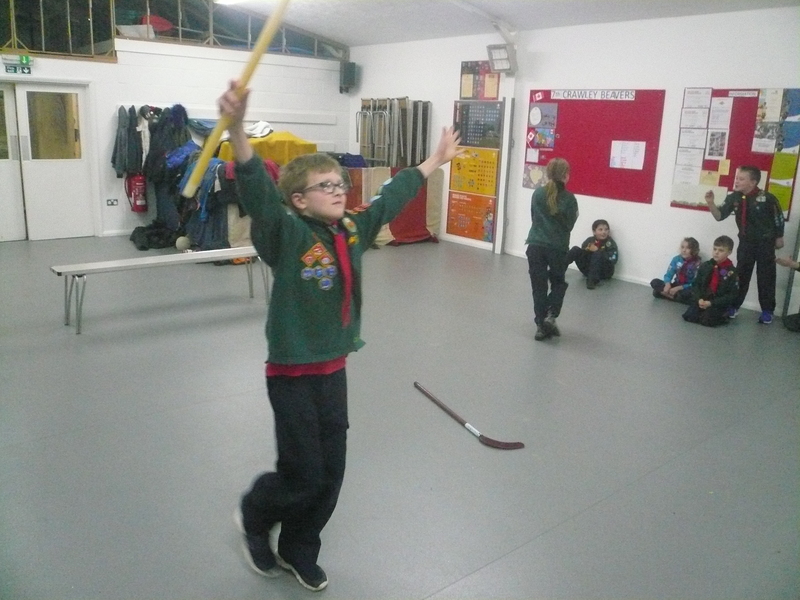 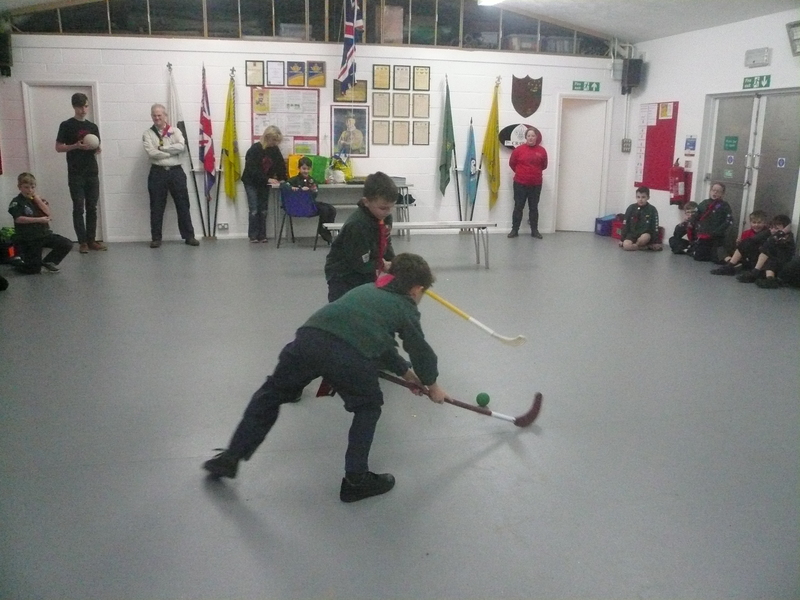 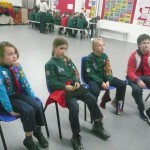 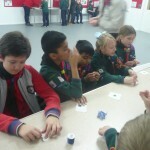 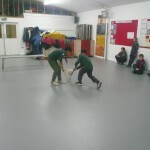 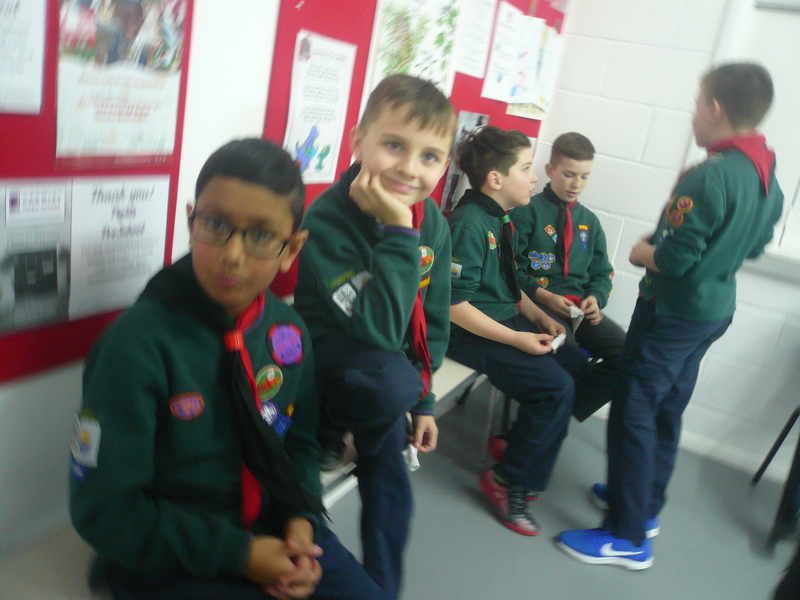 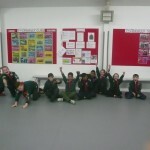 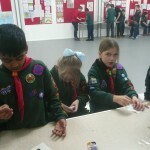 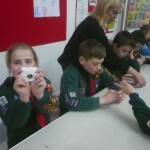 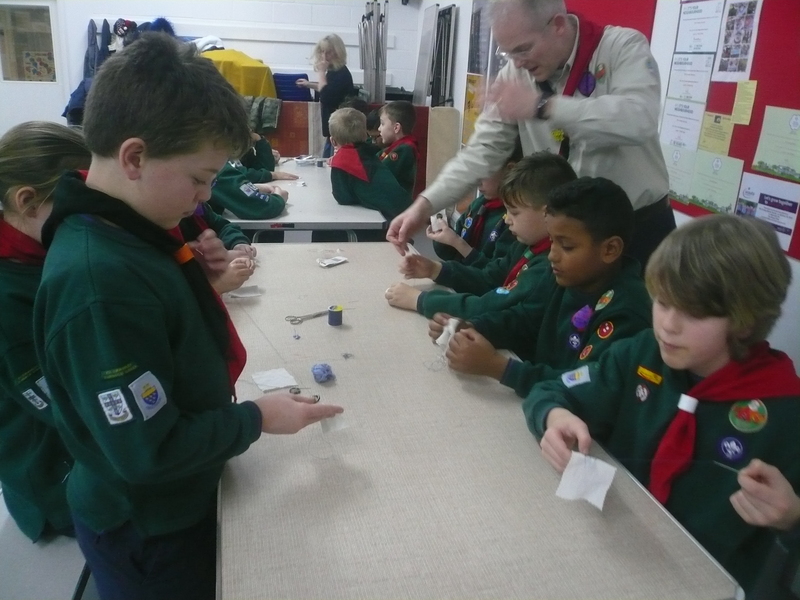 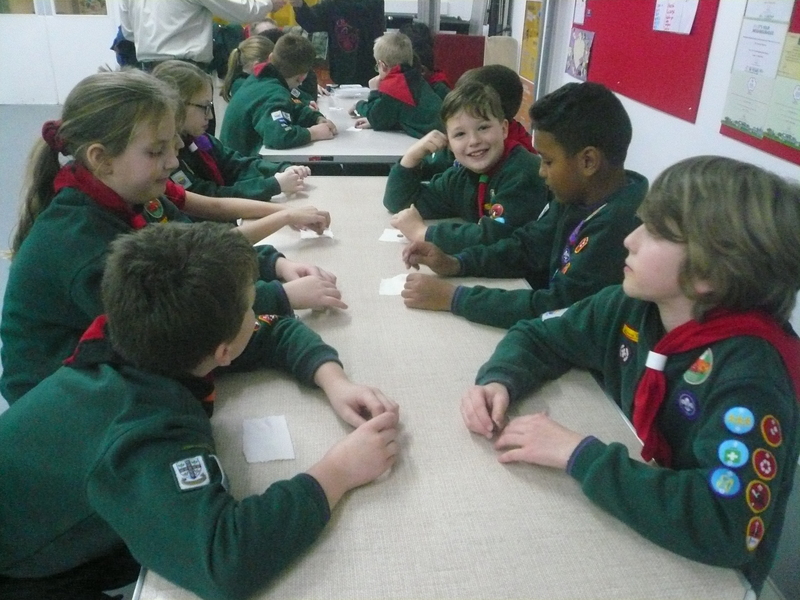 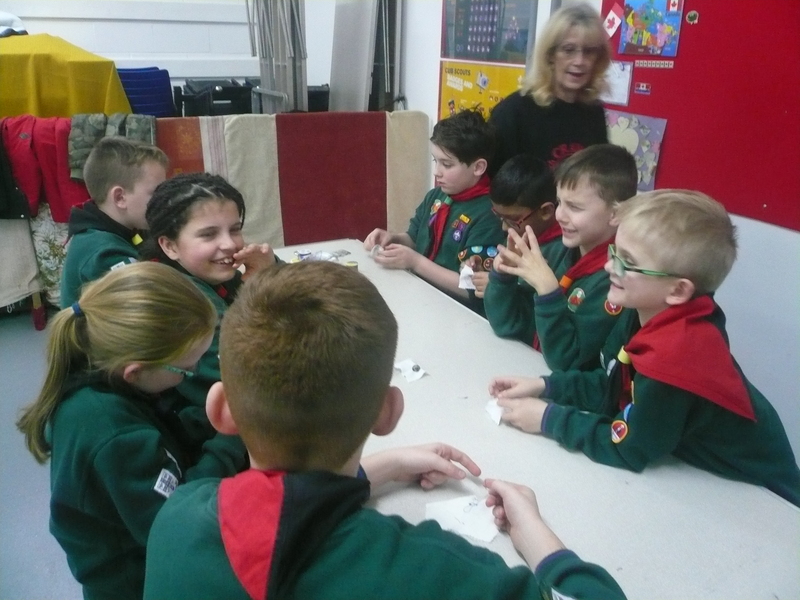 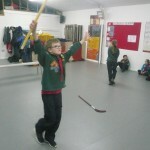 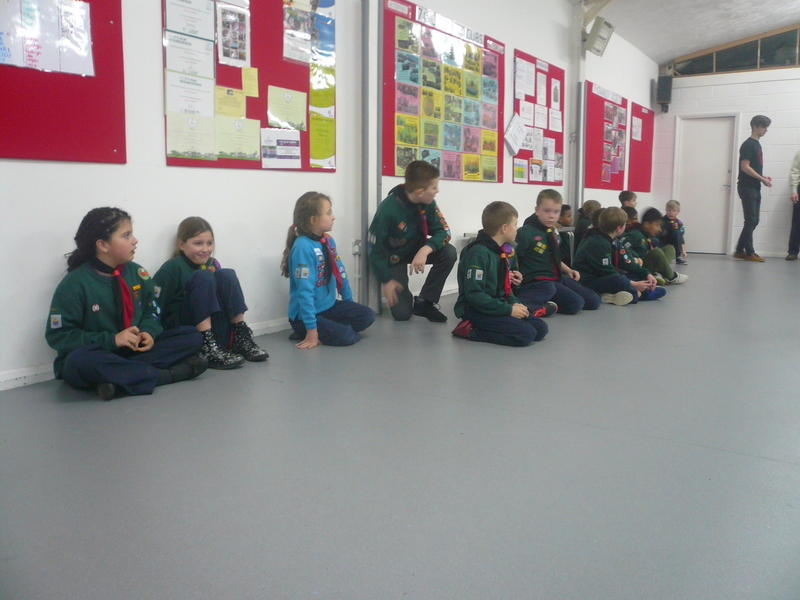 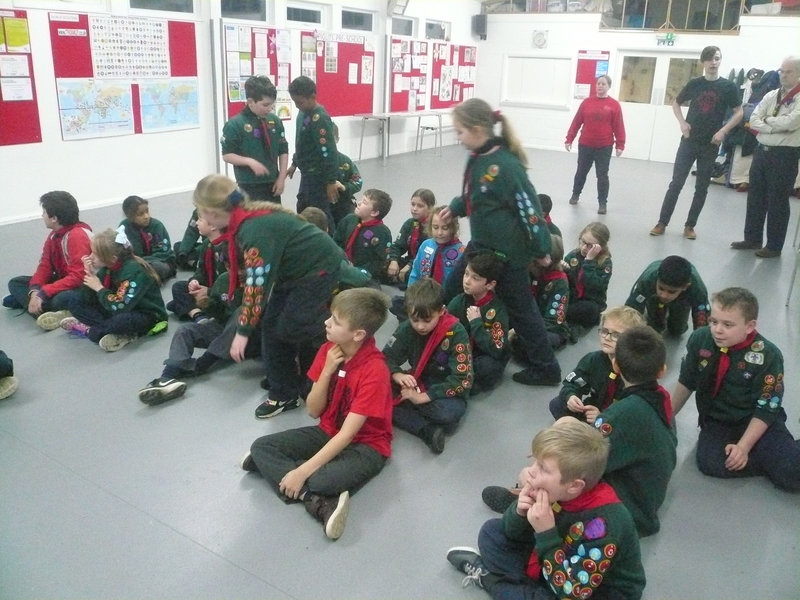 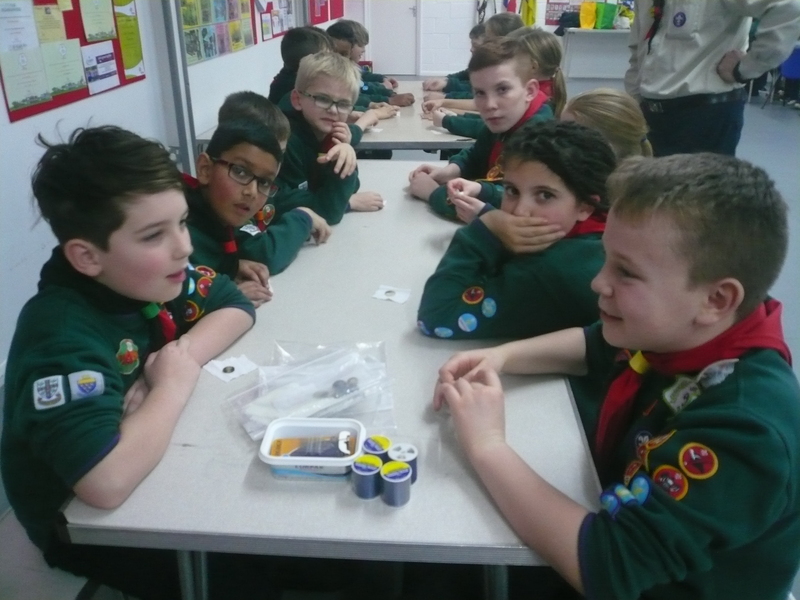 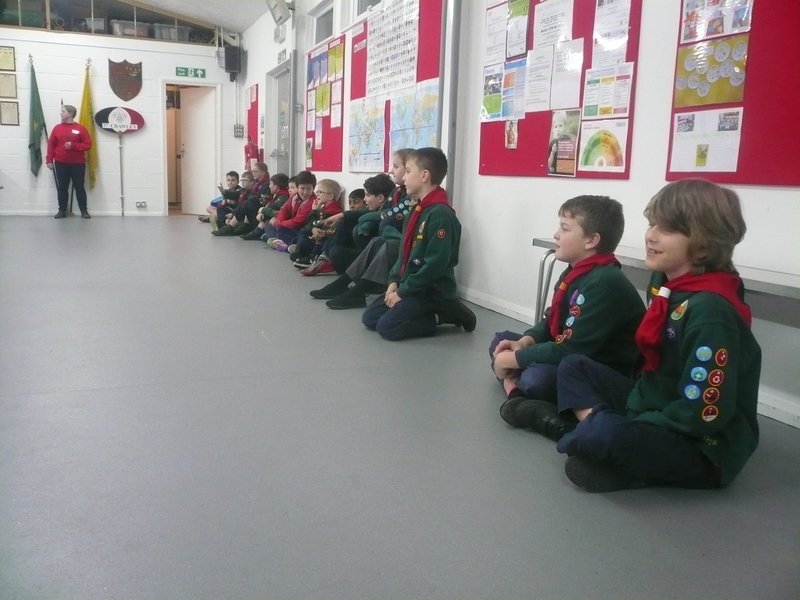 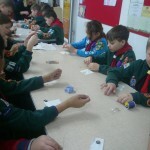 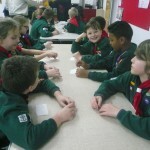 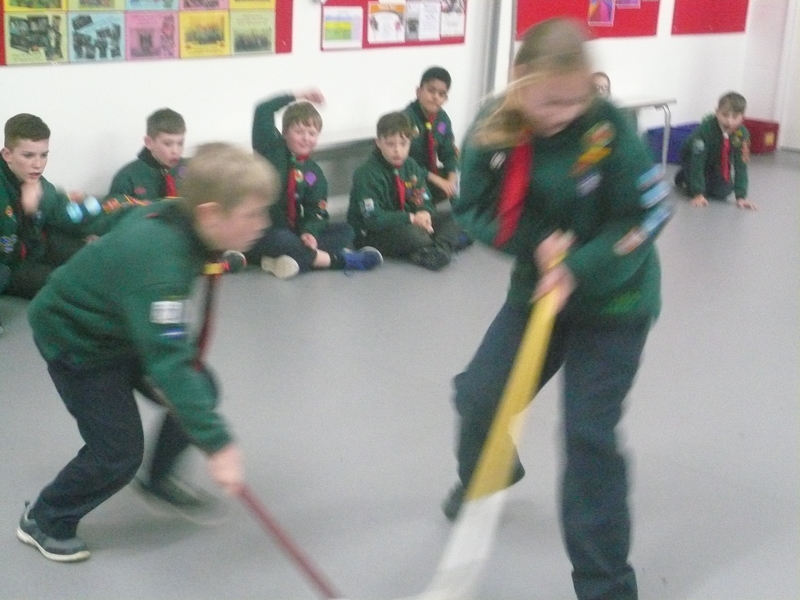 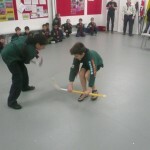 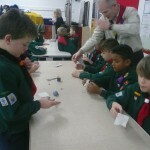 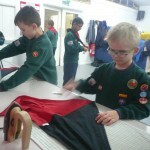 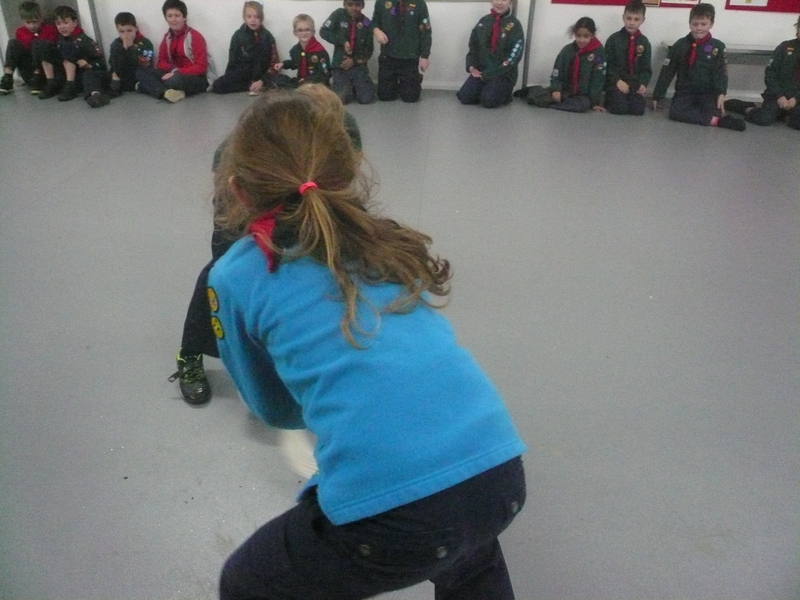 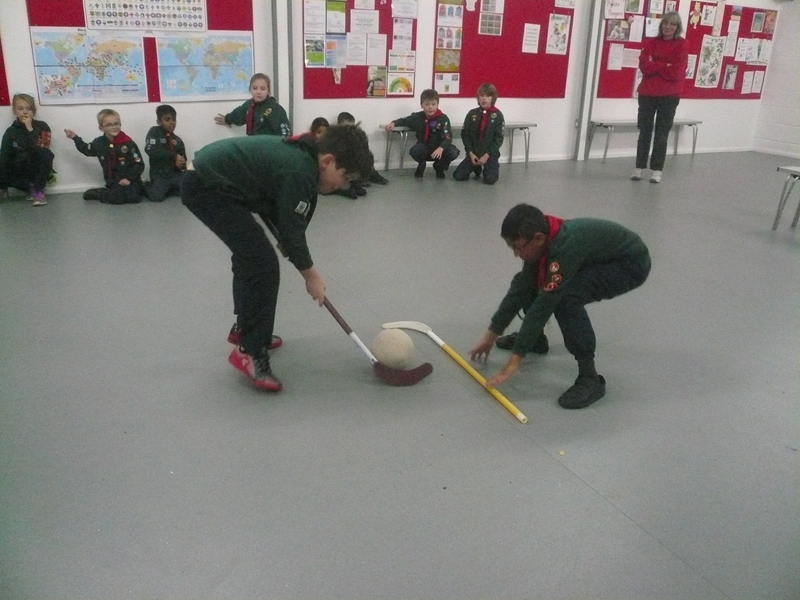 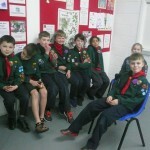 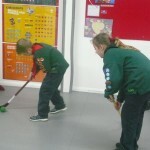 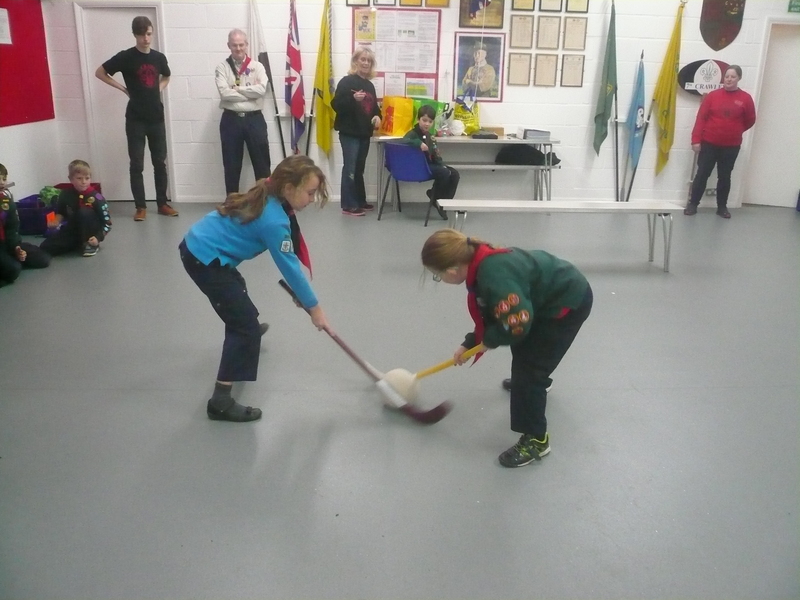 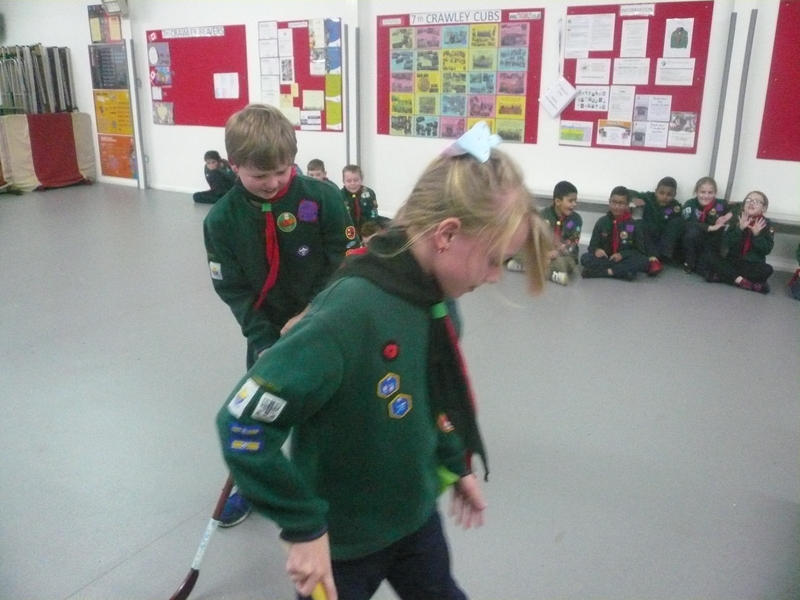 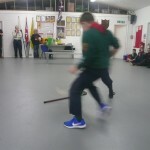 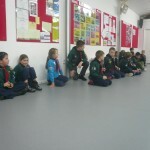 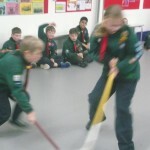 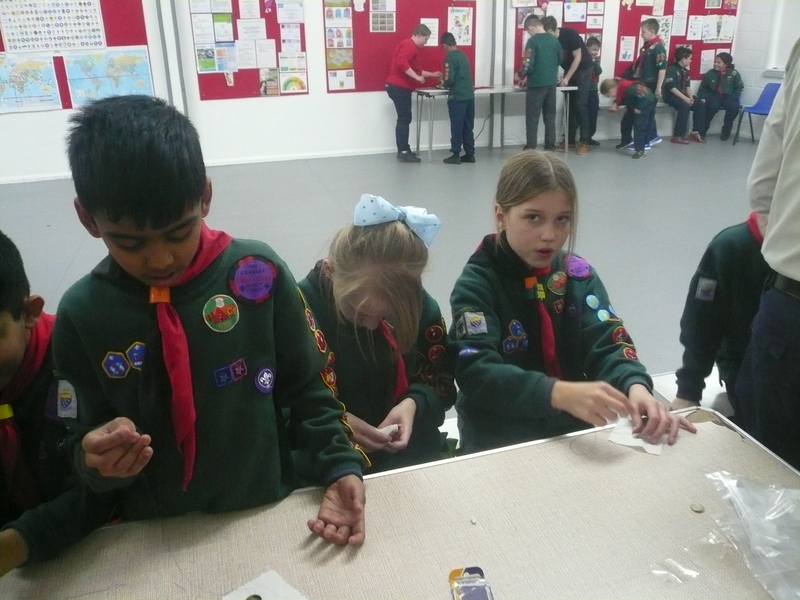 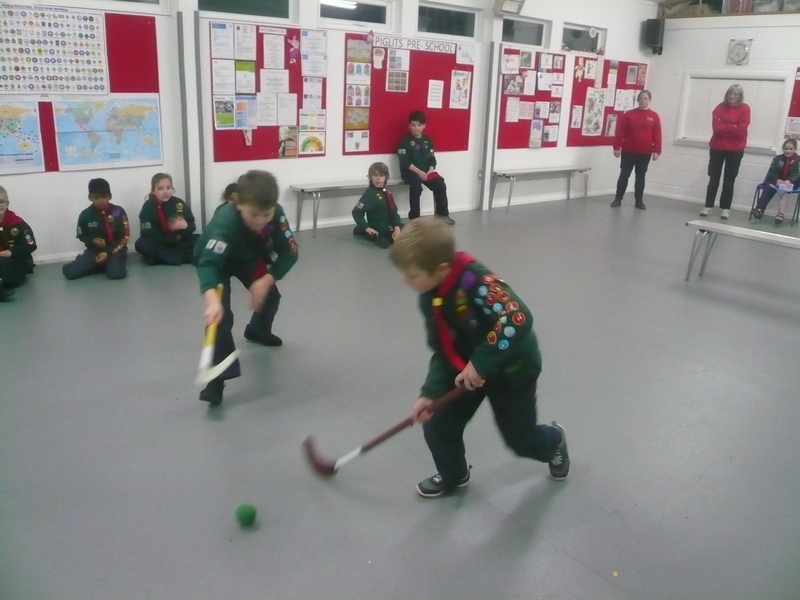 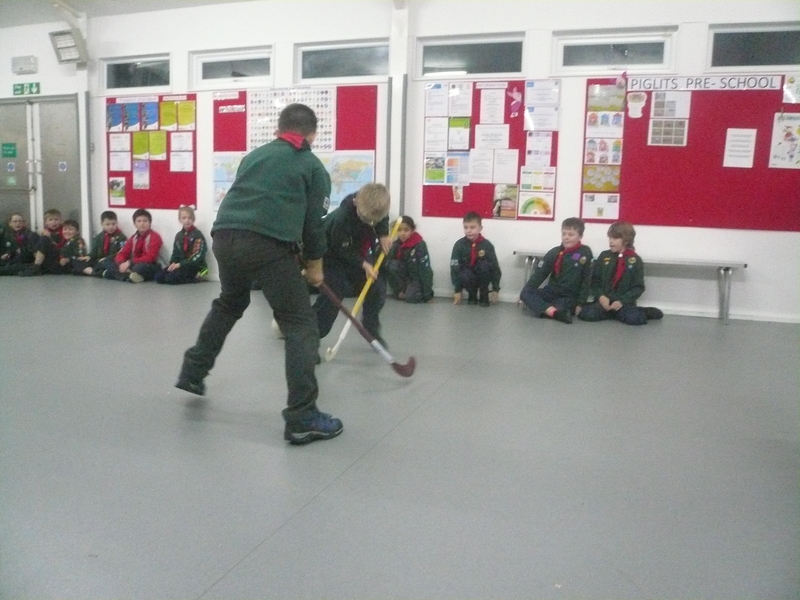 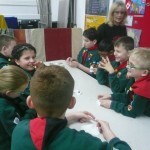 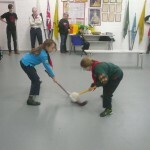 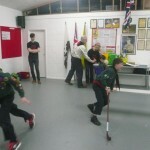 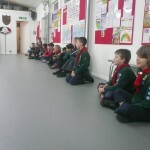 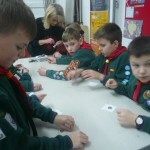 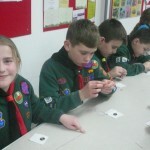 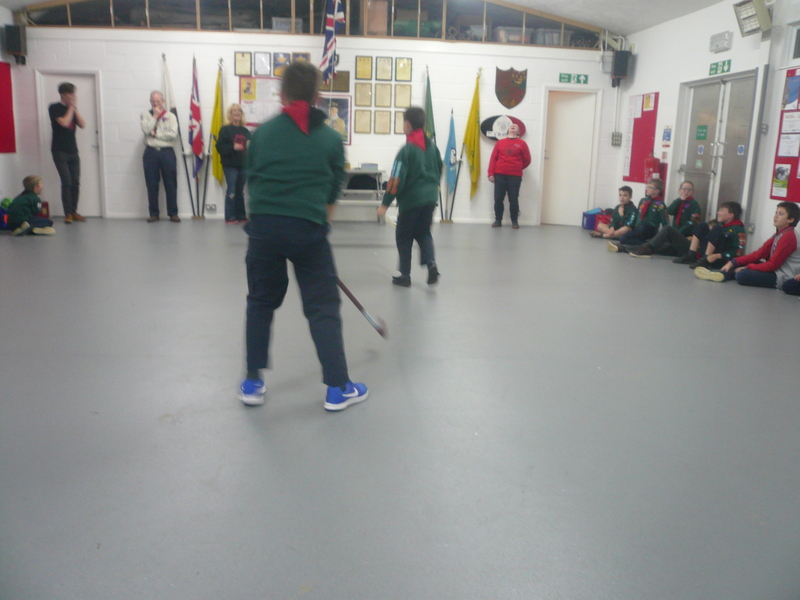 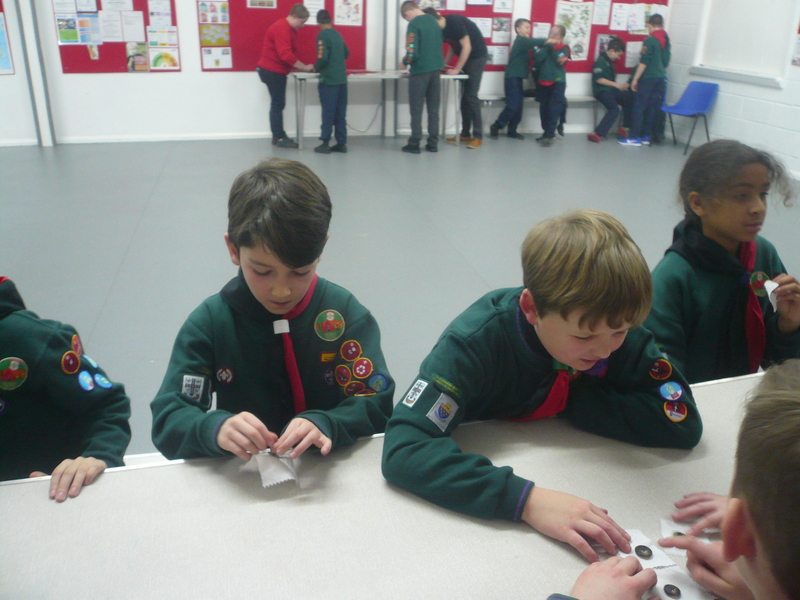 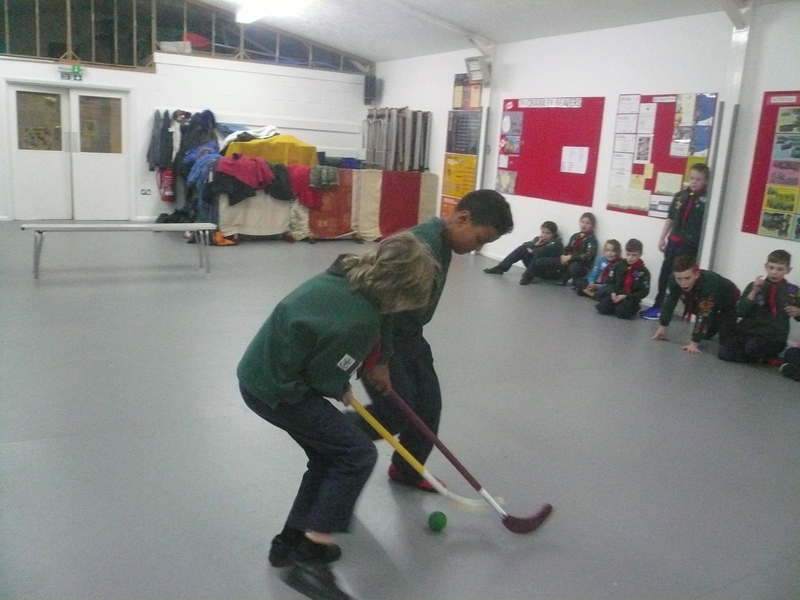 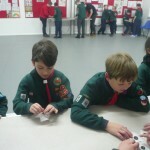 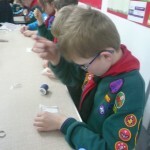 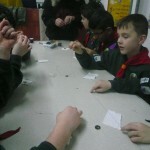 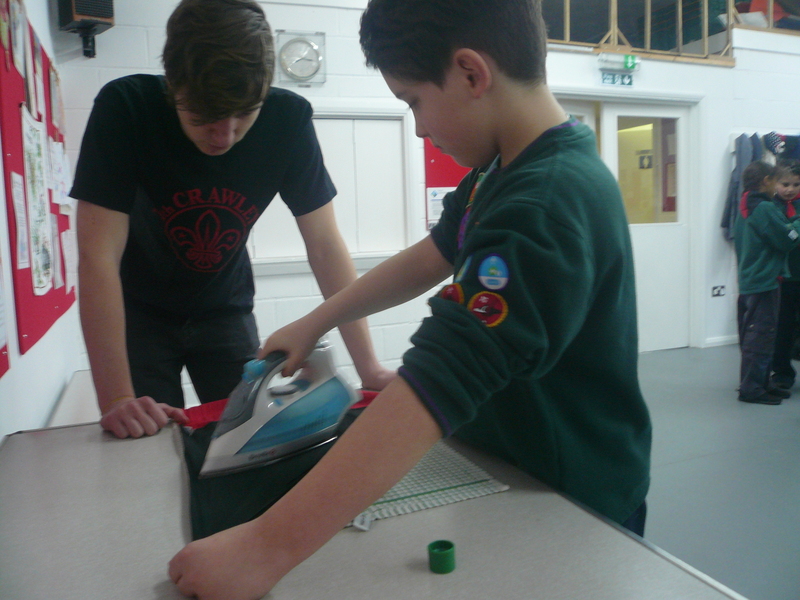 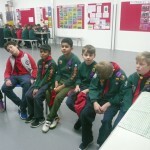 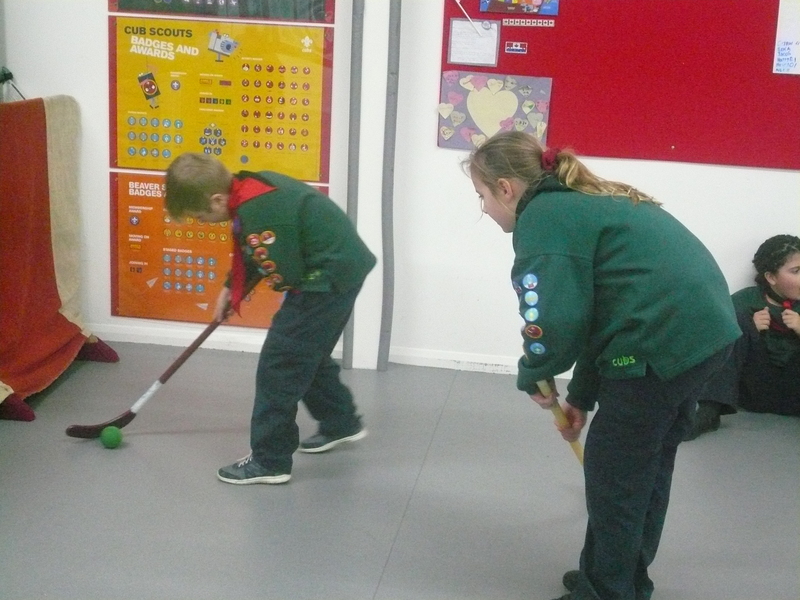 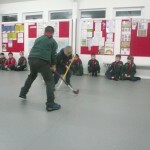 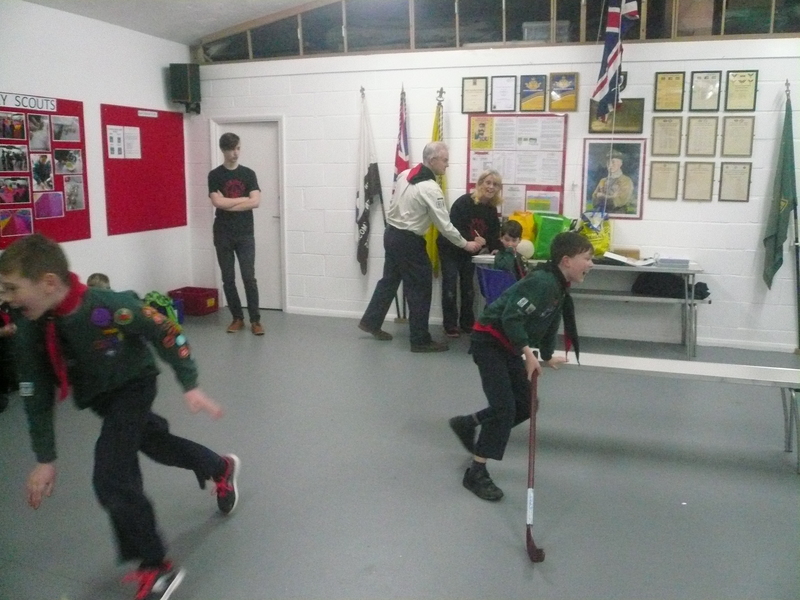 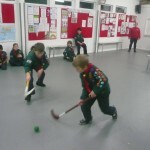 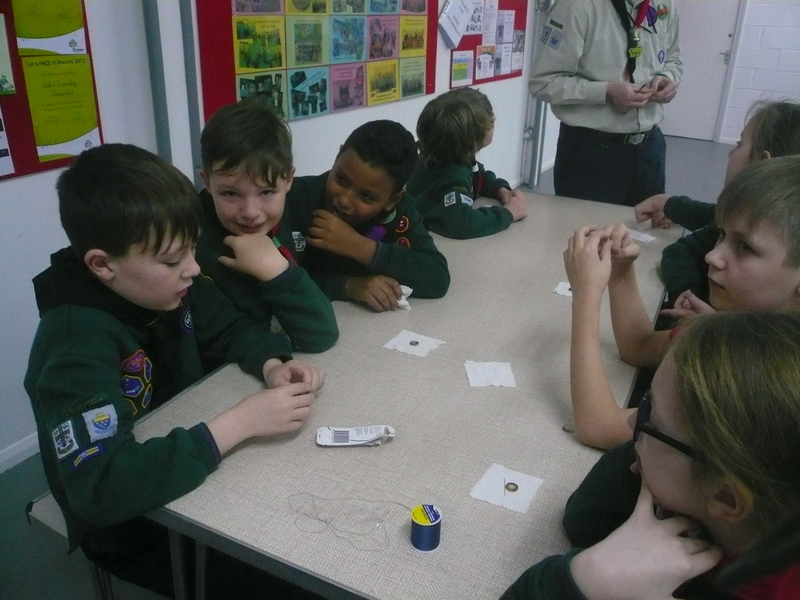 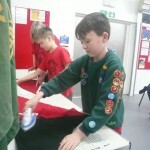 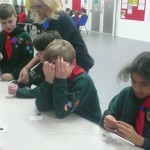 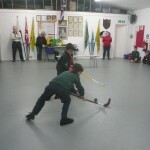 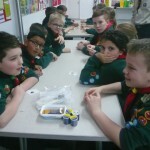 Tonight the Cubs continued to work towards the Home Help Activity Badge. 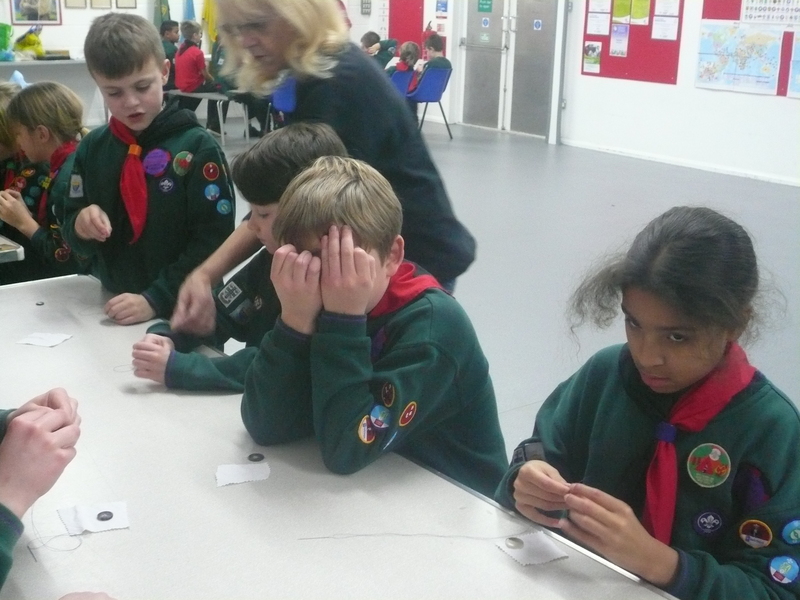 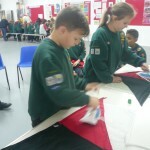 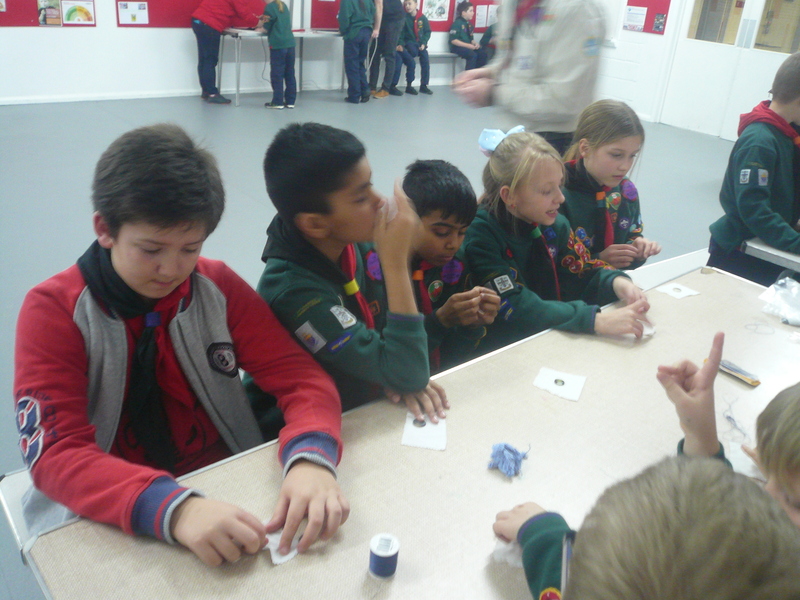 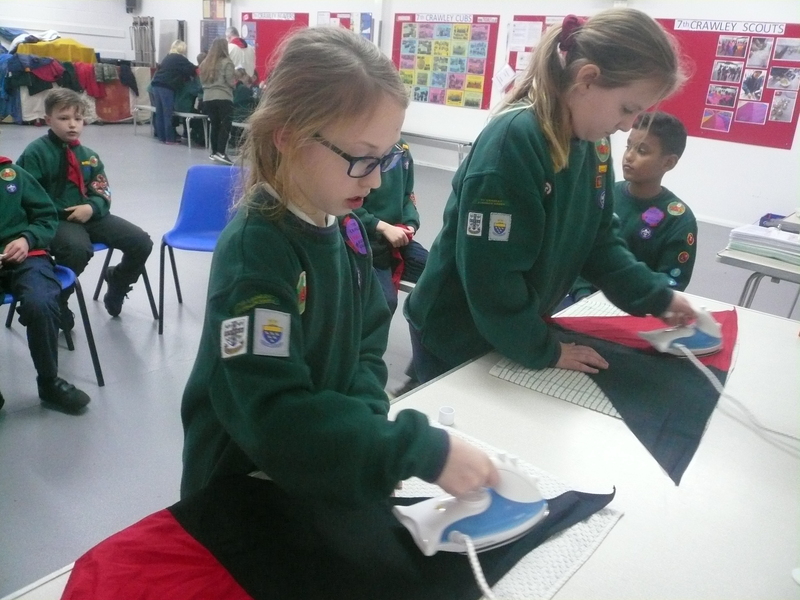 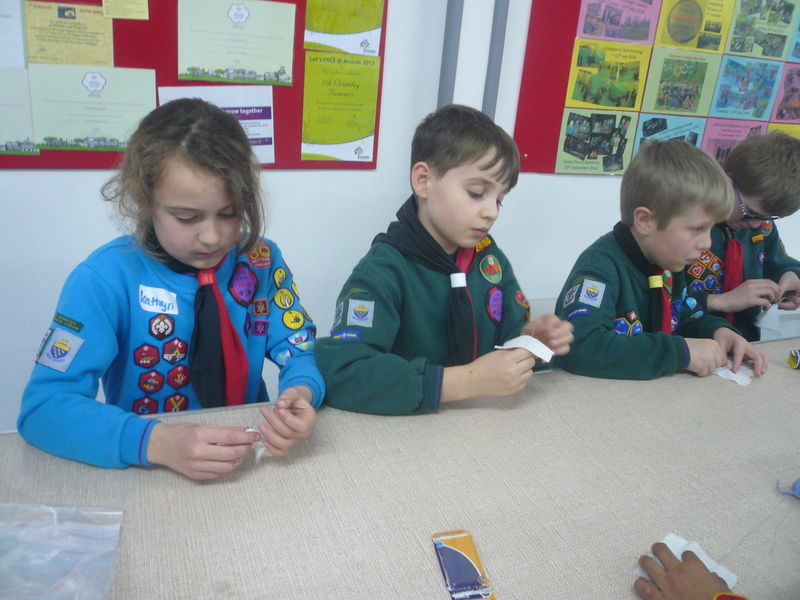 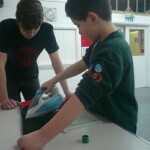 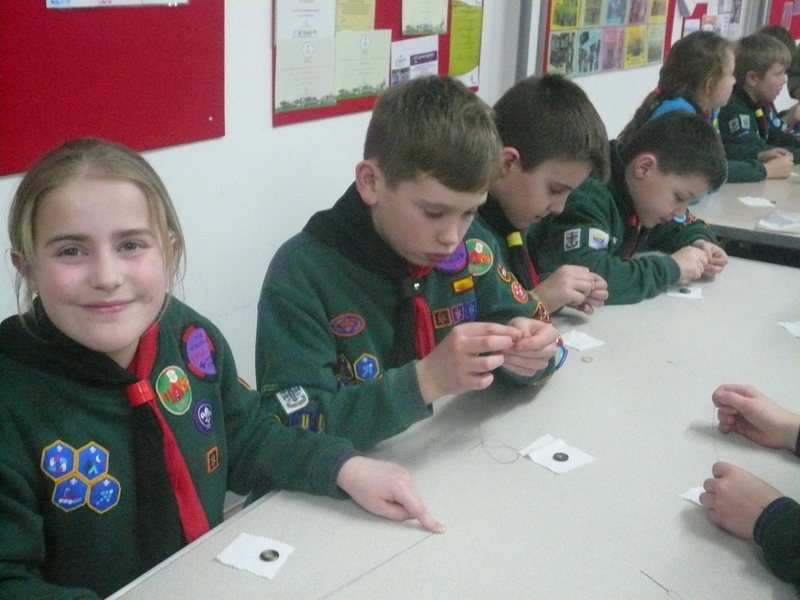 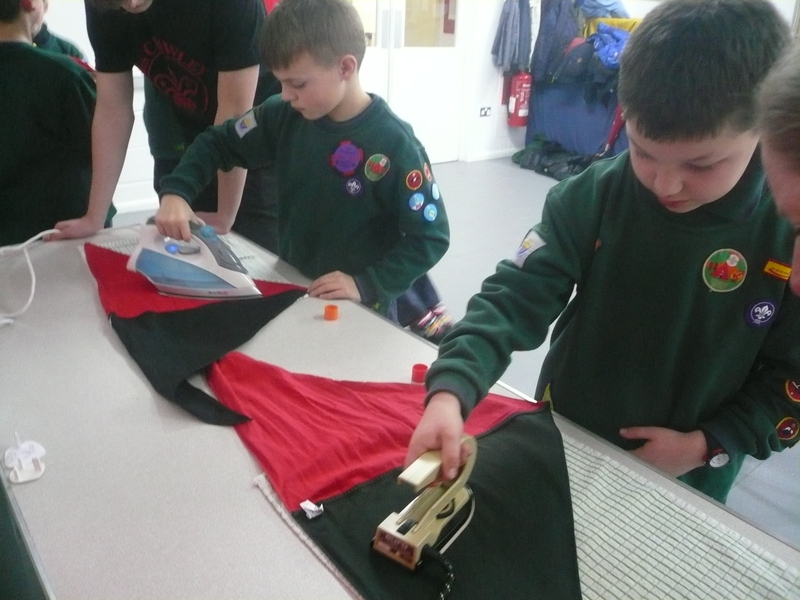 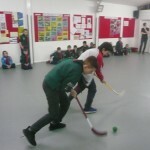 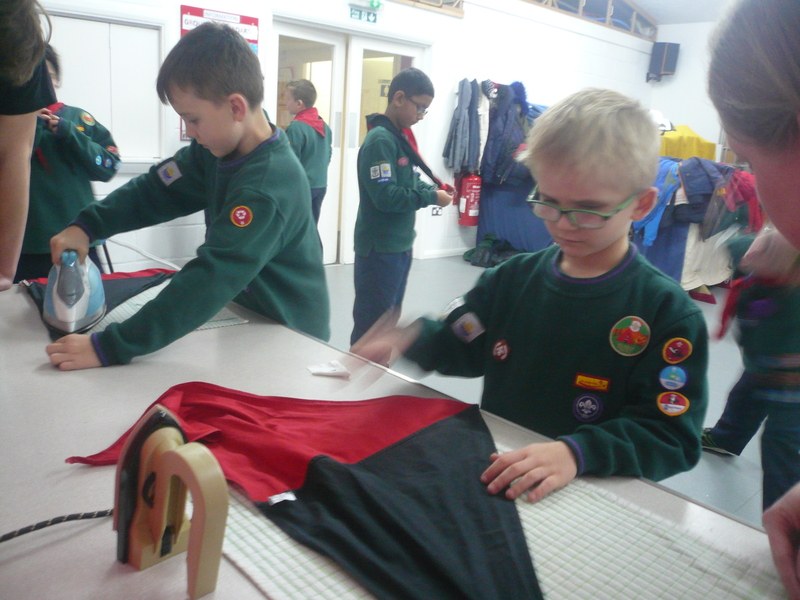 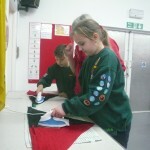 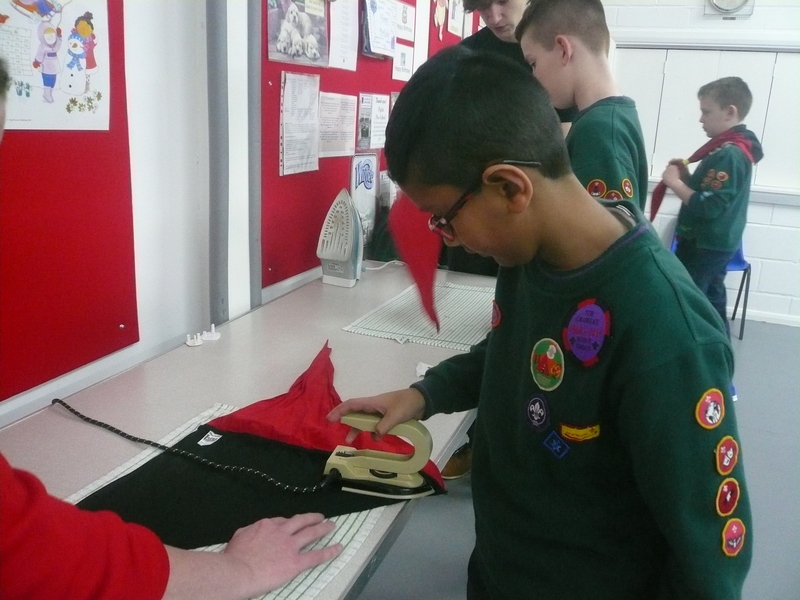 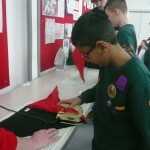 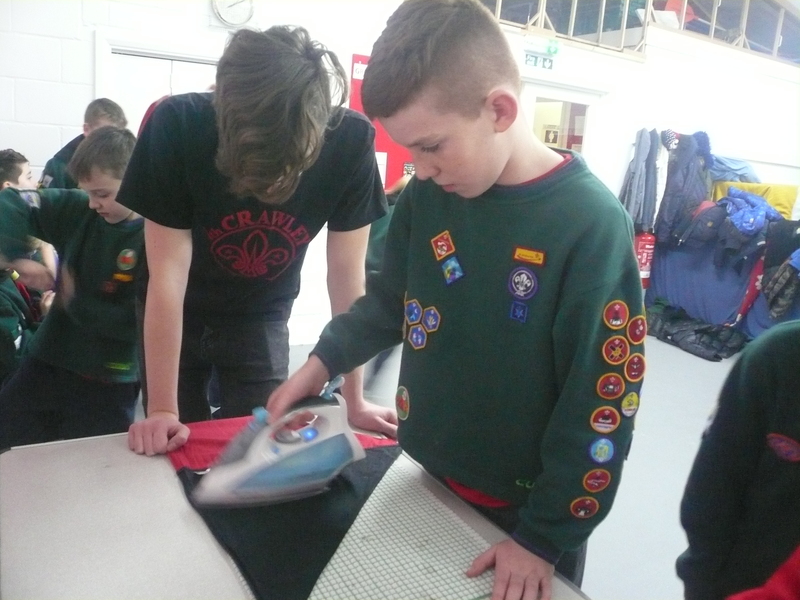 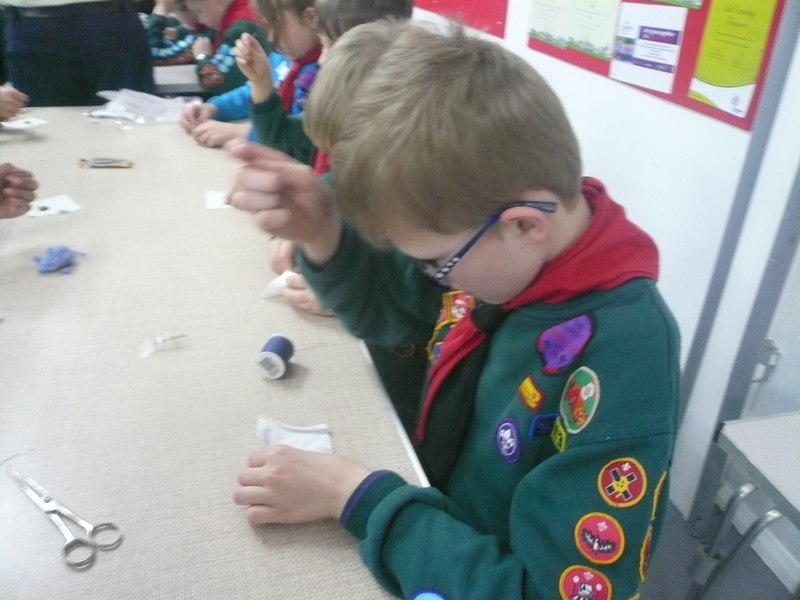 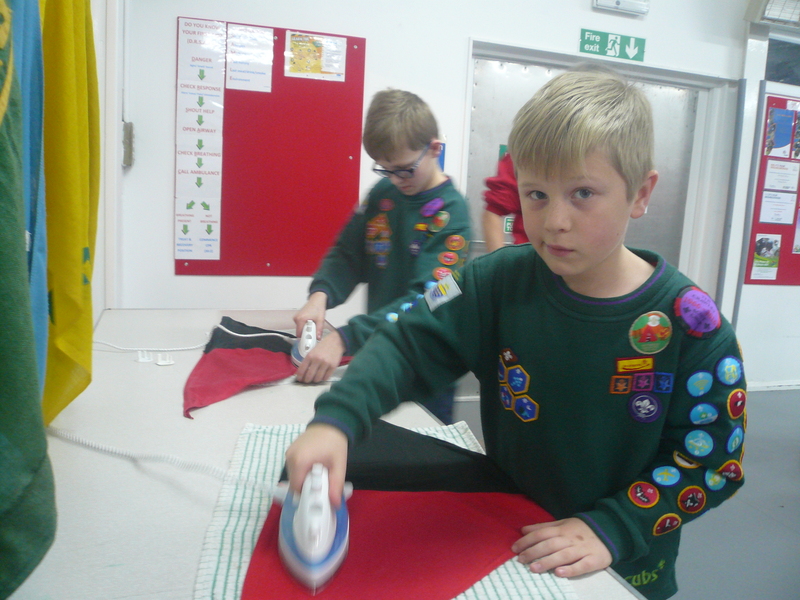 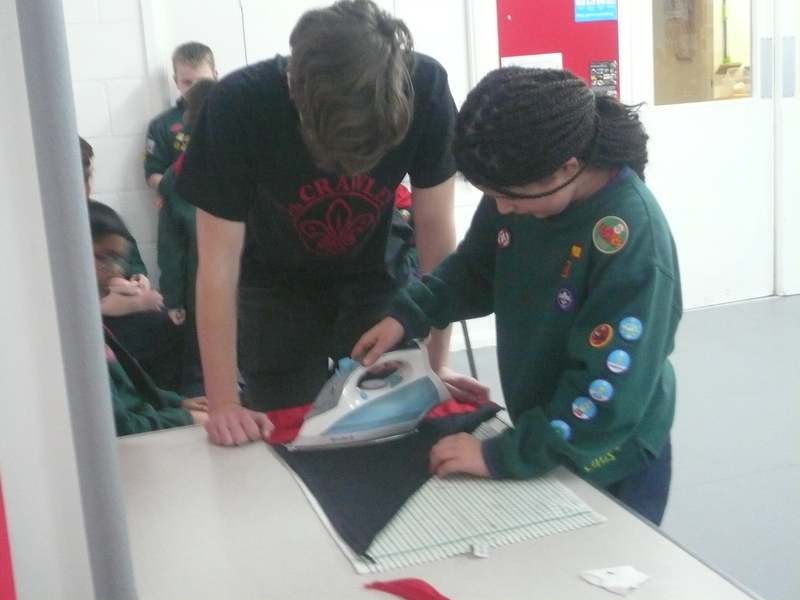 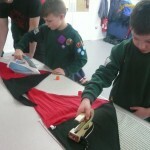 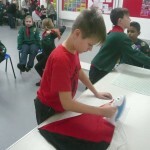 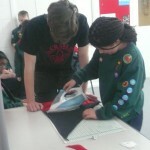 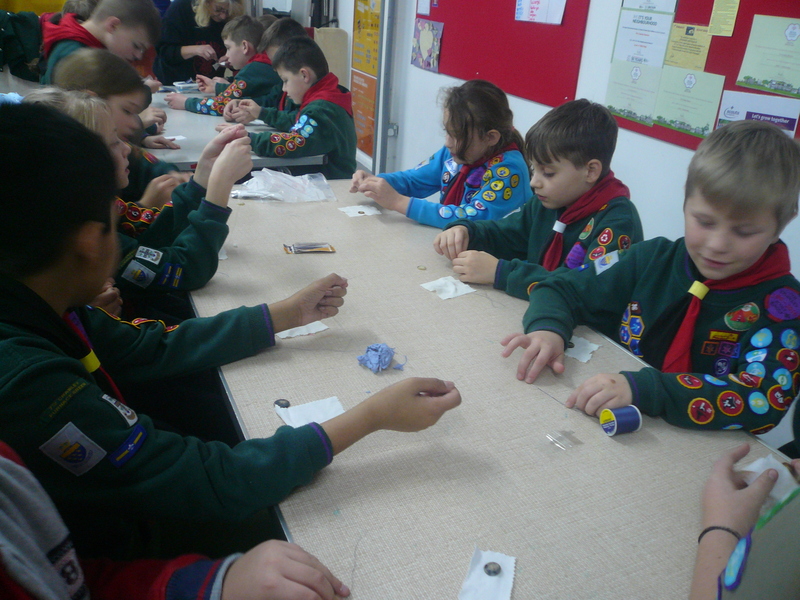 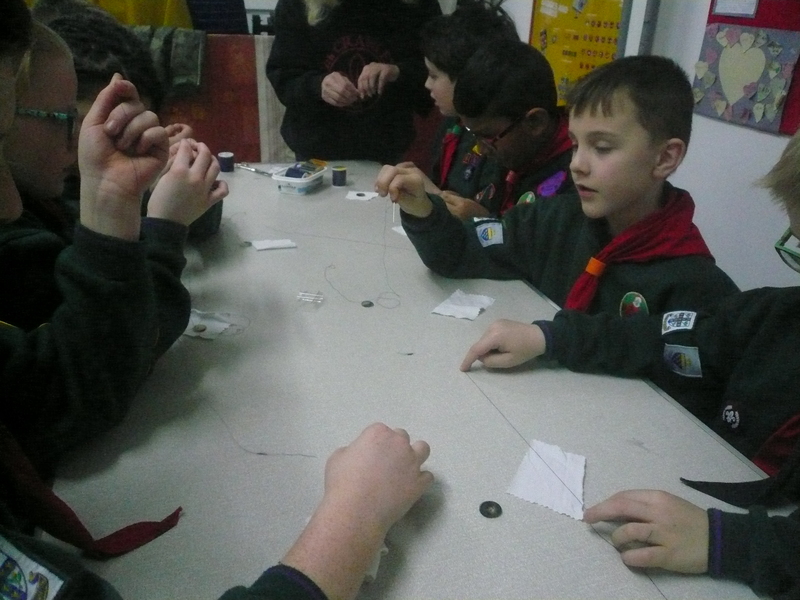 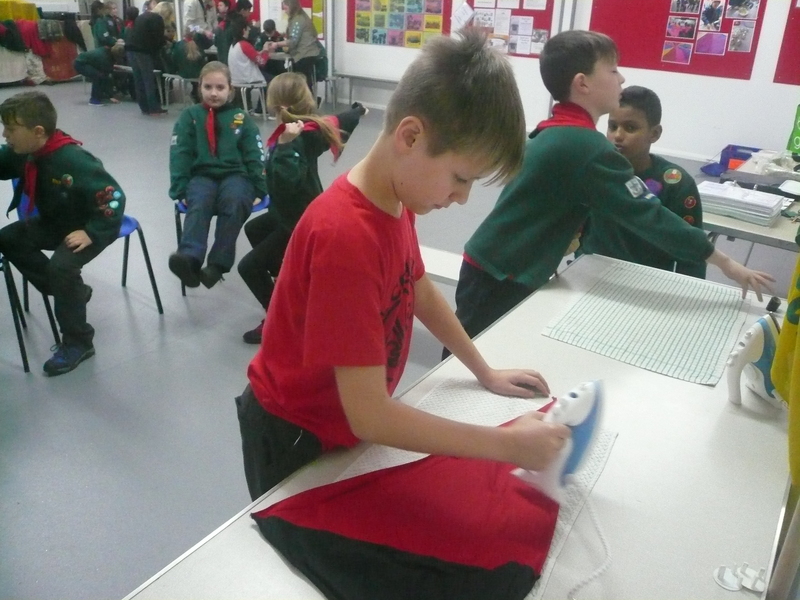 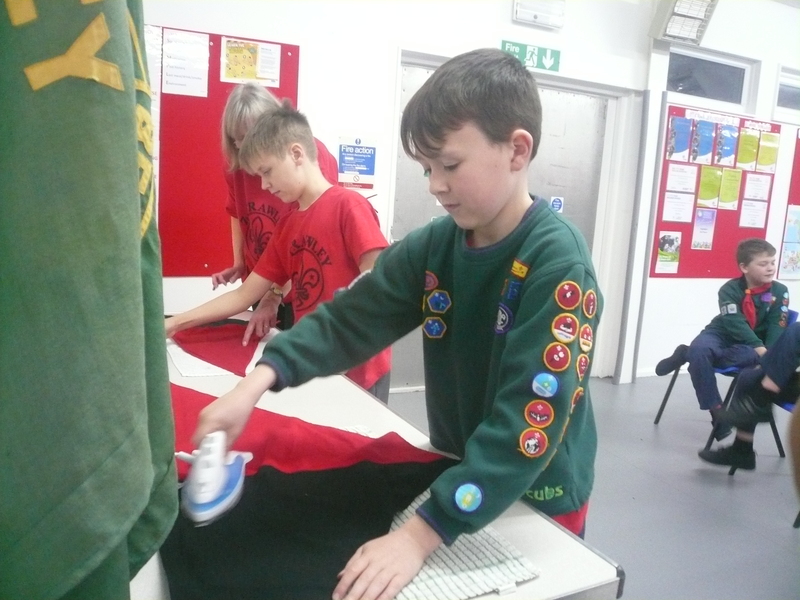 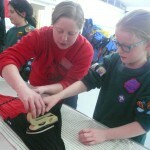 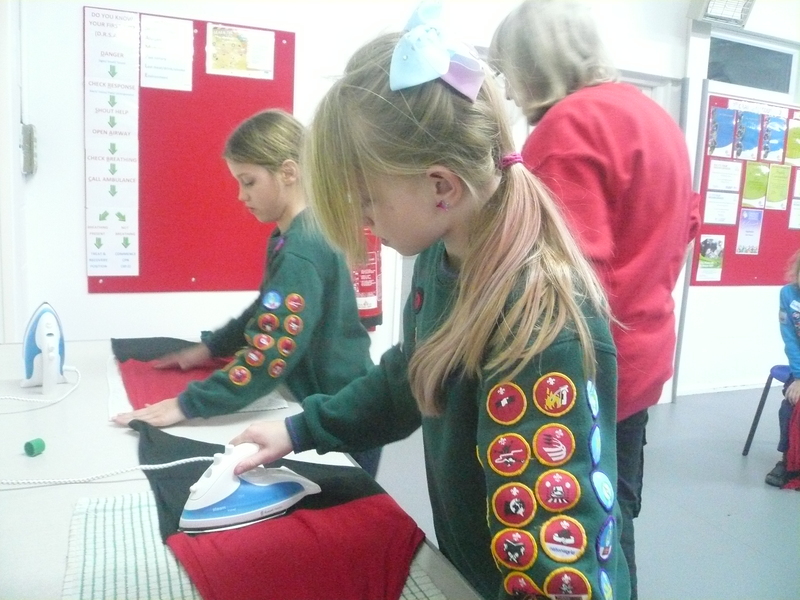 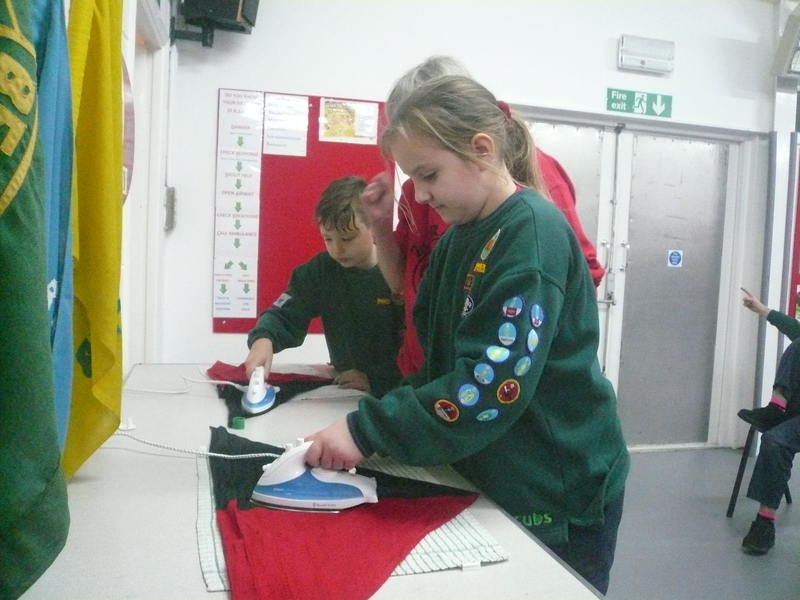 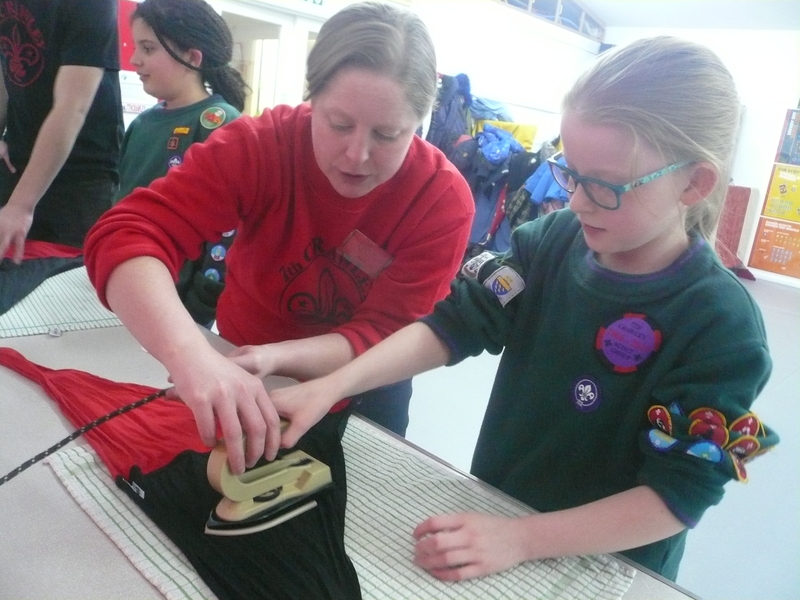 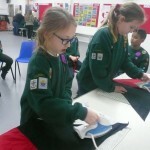 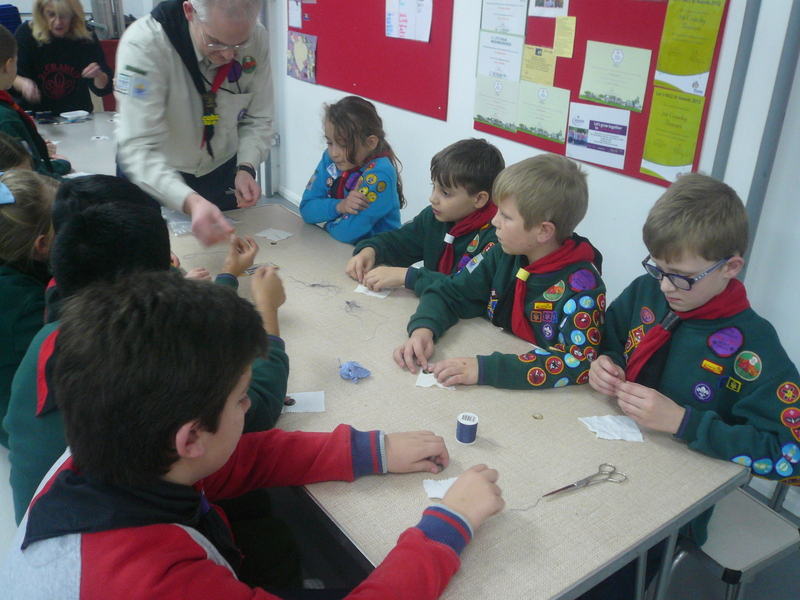 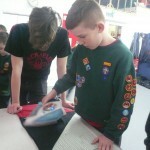 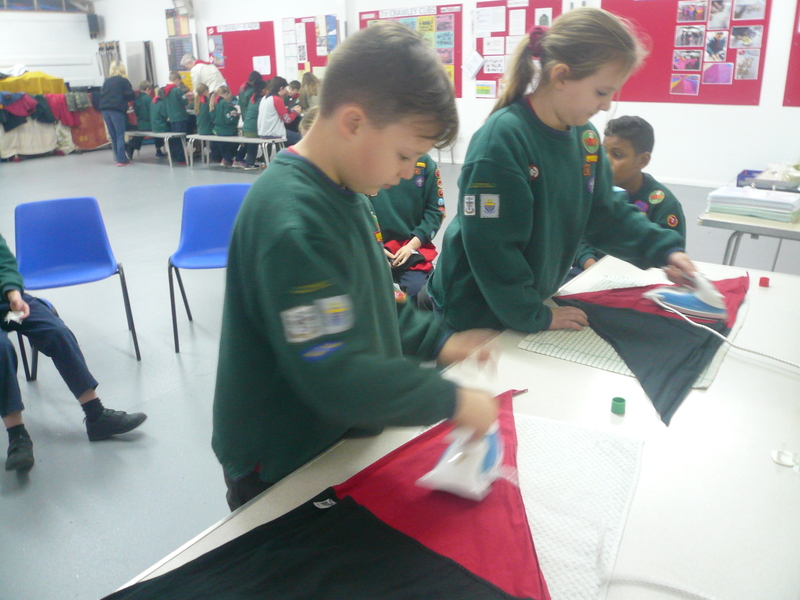 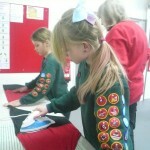 The Pack had a go at sewing a button and then ironing their Group scarves. 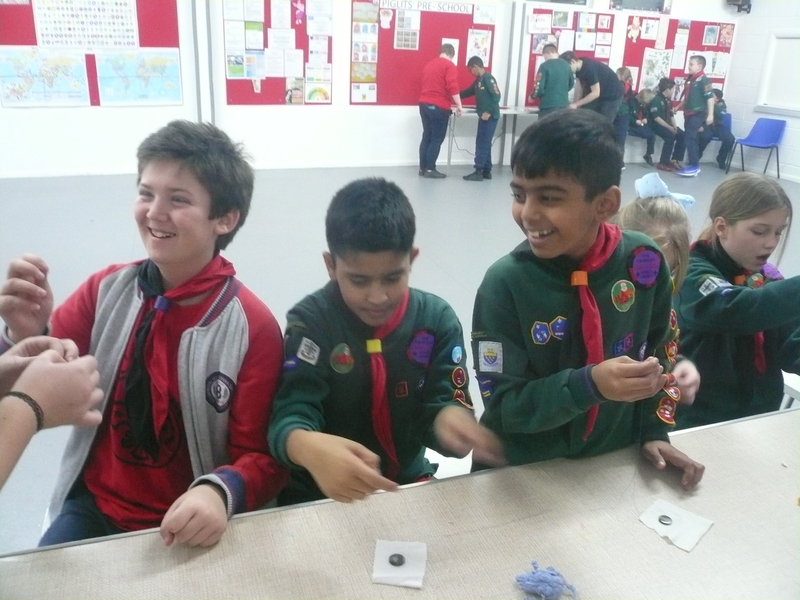 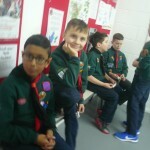 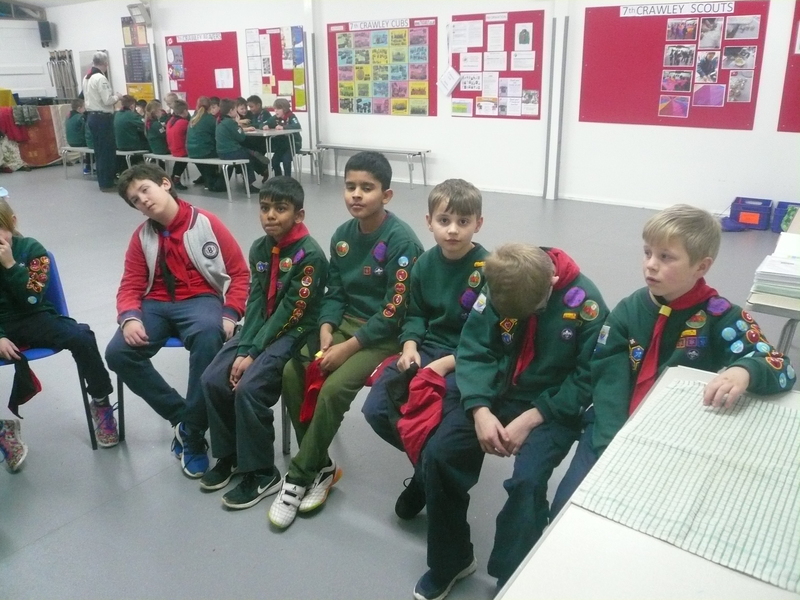 Congratulations to the following Cubs who have now completed the Scientist Activity Badge: Dhruv, Dylan, Neo, Scott, Aadi, Jordan, Thomas P & Aayush. 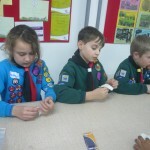 HUGE congratulations to Evan & Ellis – Awarded the Promise Challenge Badge. 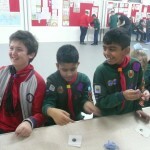 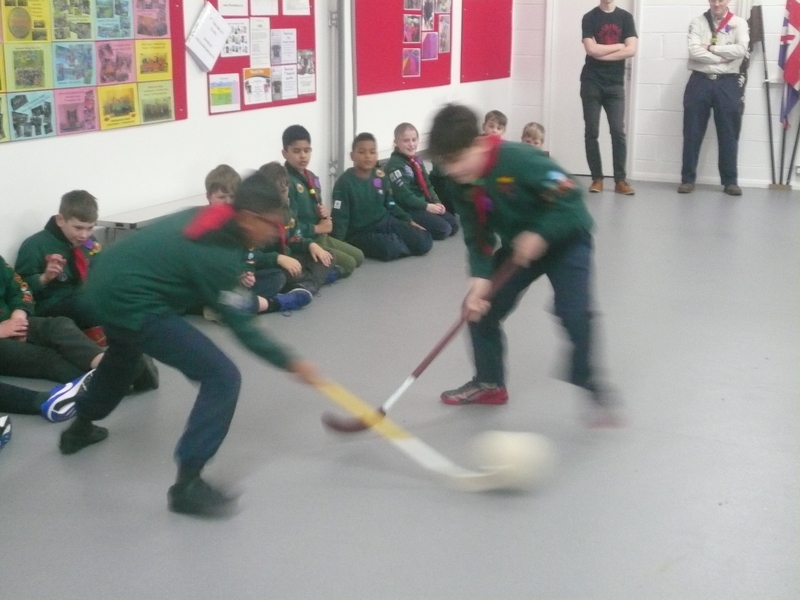 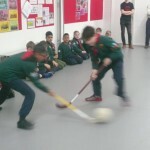 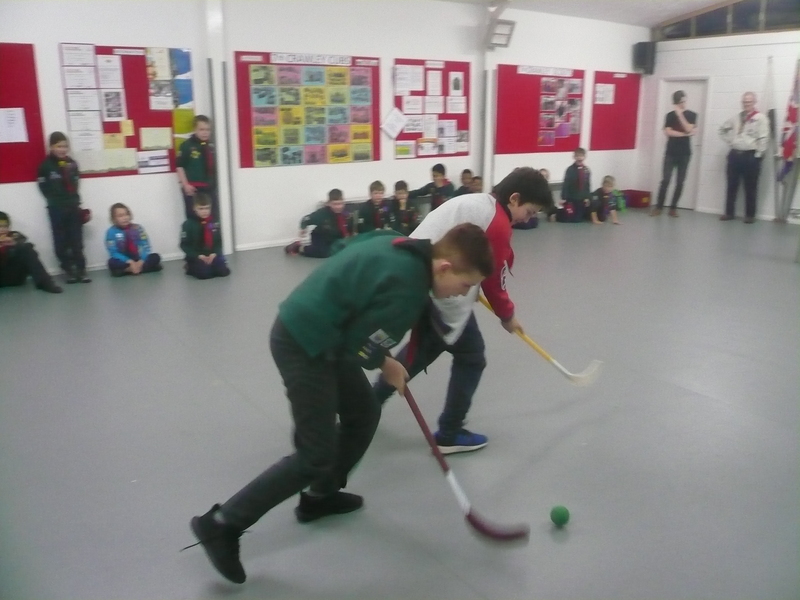 Both boys have also now completed all of the requirements of the Chief Scout (Silver) Award. 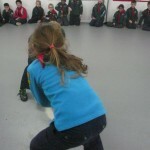 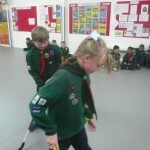 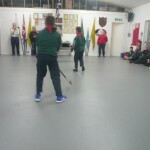 This is the highest award that a cub can attain whilst in the Pack so very well done to both. 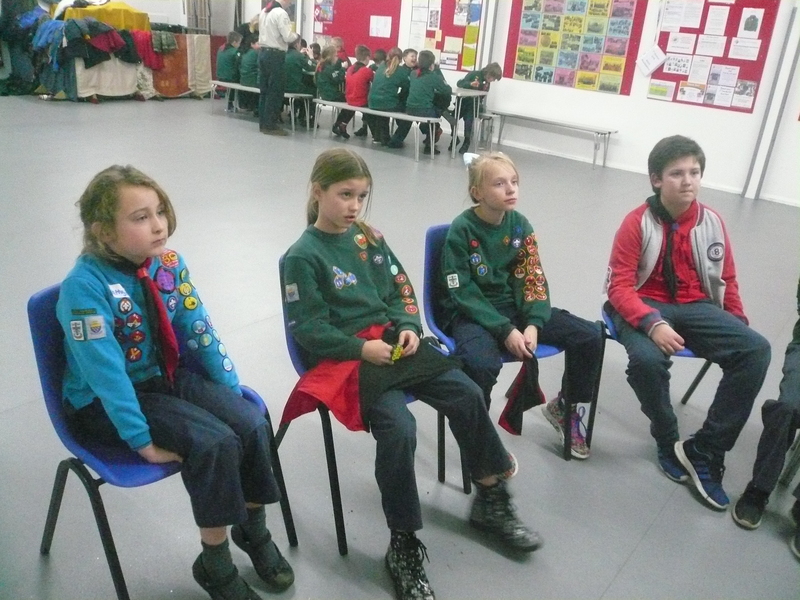 Each will receive an invitation, in due course, from the District to attend a special presentation ceremony in March.